Ice sculptures are the type of thing you imagine old men doing in small Alaskan towns. 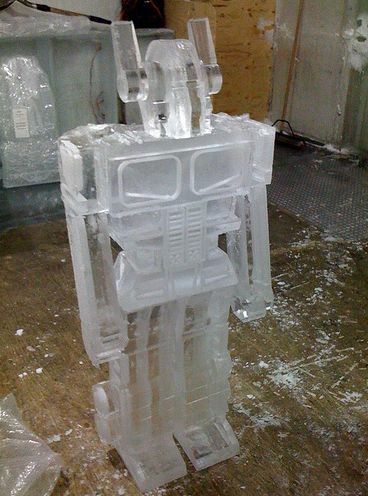 But apparently there are some aspiring ice sculptors who like to add a taste of geekery to their art. 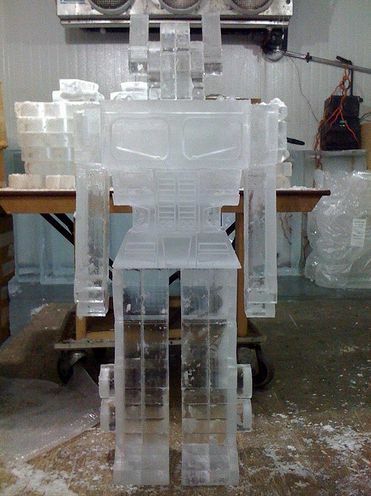 This Optimus Prime ice sculpture would be great for chilling a small swimming pool full of beer. Other than that, I don’t see much use other than looking pretty. How many disguises do these damn things have? Copyright Gearfuse 2019. All right reserved.